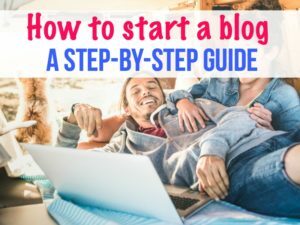 As with most families, we thought we were living the “American Dream.” I lived in a quaint 2,200 square foot home on a beautiful 5-acre property with my husband, Justin, son, Wyatt, four cats, and one dog. We loved our slice of heaven, but there was a hidden fire brewing in my soul. Then one day, out of nowhere, I awoke to the truth. I wasn’t happy! I was far from happy! I was tired, sick, stressed, and in turmoil. I was running a licensed organic daycare in our home and coaching gymnastics. I became pregnant a year-an- a-half into my daycare adventure and quickly began to lose touch with self-care. At the time I didn’t know, but I later found out that I had adrenal fatigue and hyperthyroidism. With a heavy heart, I closed my daycare and so closed the door on teaching and caring for other children. With very little income coming in from coaching gymnastics part-time, we needed a big idea for minimizing our expenses. 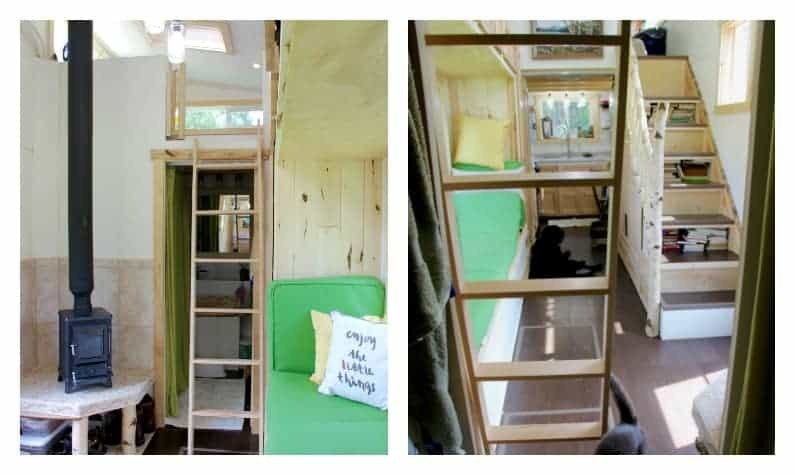 That big idea was a tiny house on wheels and our lives are forever changed! 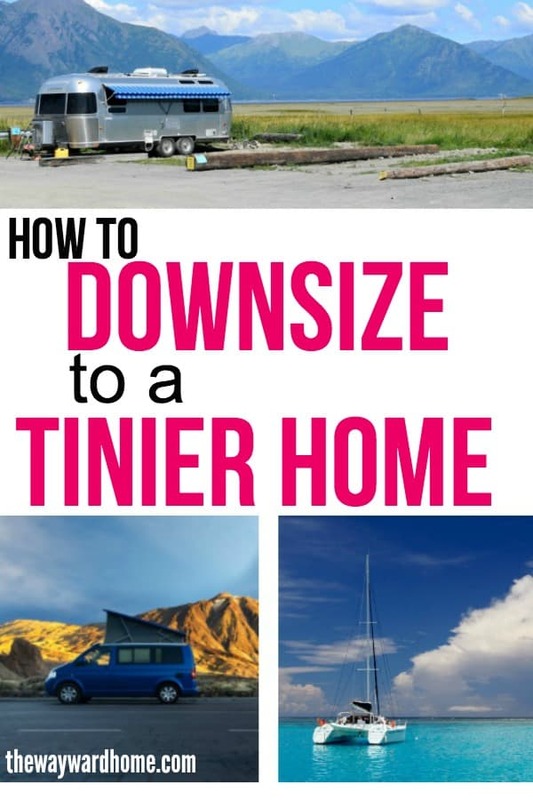 We did a lot of research on what type of tiny house living would provide us with what we need. 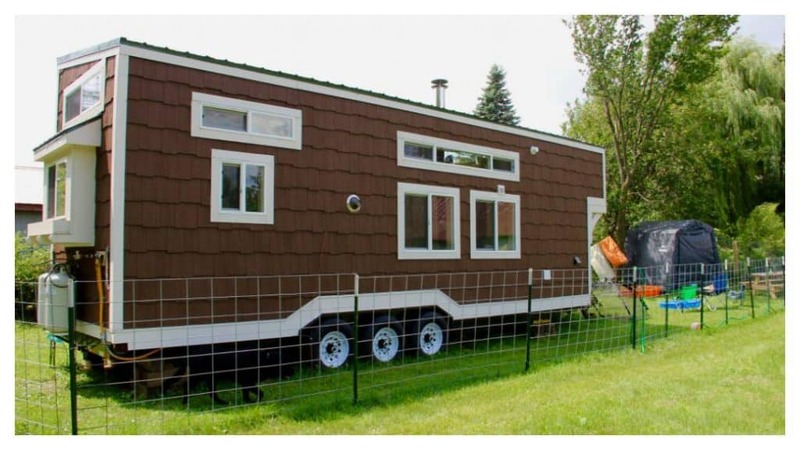 We looked at the pros and cons of both tiny houses on foundations and tiny houses on wheels. With a foundation, you are more likely to find a legal spot to build, but this was out of our budget when it came to hiring someone to build us a home. We knew a tiny house on foundation would offer us more space but as we downsized we realized that we loved having less stuff! We had a lot of concerned friends and family members who thought we were absolutely crazy. Two adults with master’s degrees from upper-middle-class families downsizing to 325 square feet was certainly not the norm. When looking for a tiny home builder, it’s important to weigh in the proximity factor. For us, it was crucial to be a part of the build. We were able to use sweat equity to lower the price, as well as be confident that our tiny home was going to be everything we desired. Our tiny house on wheels was built by Jim Wilkins, with Tiny Green Cabins. It is a masterpiece! Jim’s woodworking ability and custom design was heaven sent! It was built non-toxic and his expertise is hard to come by. Tiny house builders are popping up all over the country. Jim had several builds under his belt, which made us very confident. 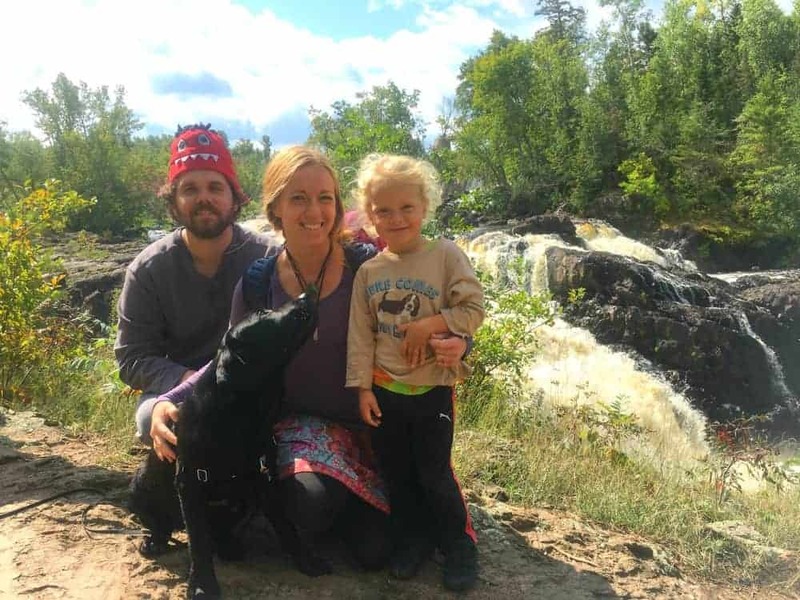 He also was a home builder before switching to tiny homes, so he had in-depth knowledge of building codes, which he also combined with his knowledge of the RV certification requirements. I highly recommend going with a builder with lots of background experience and certification in building regular homes and tiny homes to be sure your build will last. 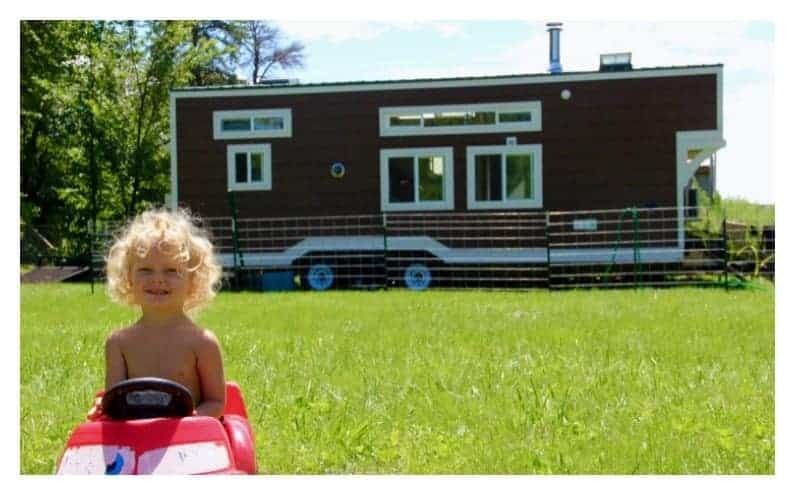 I also highly recommend getting a new trailer that is tiny house specific. Consider it your foundation and if the foundation crumbles down the road you will have wasted a lot of money and time. As far as the rest of the house, feel free to use as much used material as you see fit. 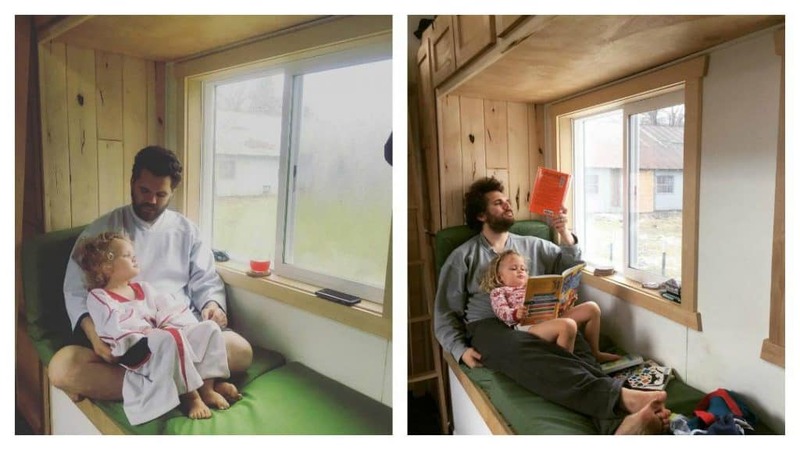 Living in a tiny house changed our lives. 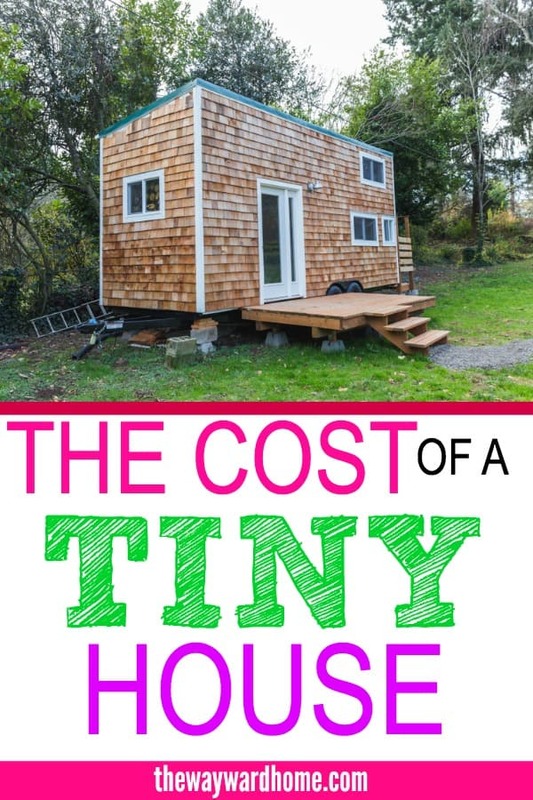 With our tiny house, we have found more financial freedom with no mortgage, little to no rent, less stuff, fewer utilities, less water, less cleaning and less maintenance. We have found more freedom in our jobs because we can move to whatever city or state we want. We can follow the best jobs quickly and businesses don’t have to worry about helping with our move financially or waiting for houses to be bought and sold. Our relationship has blossomed because all the extra time we have! With less to clean and maintain we have way more time to spend as a family and on self-care. We have the money to do the activities we love that we never had time or money for in the past. We have little temptation to purchase anything new because there is no place to put it, which leaves money for experiences rather than possessions. 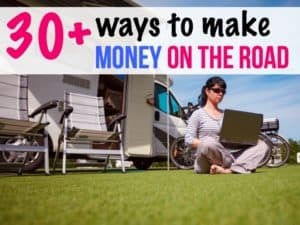 We are able to spend money on 100% organic food, holistic health care (including muscle testing, chiropractic and Reiki), spend more time outside and rock climbing. 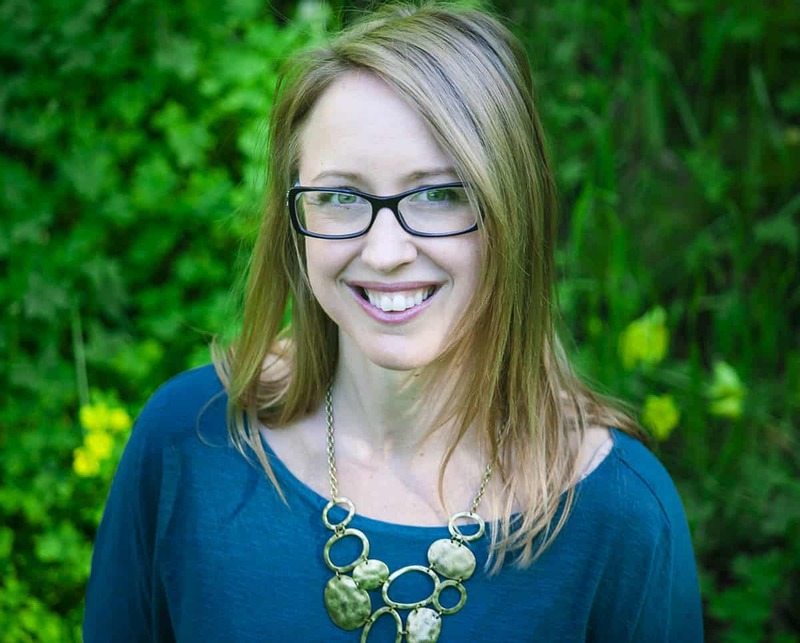 I have been able to quit work, start homeschooling/unschooling our son and get published with my first book (of many) called, Minimalist Living for a Maximum Life. 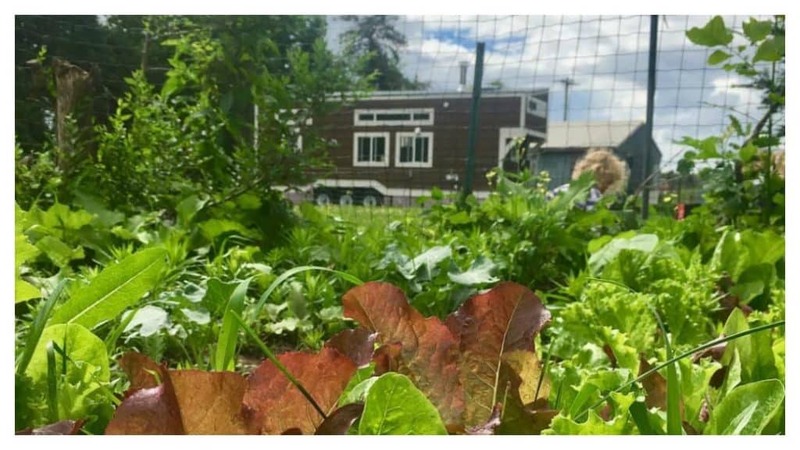 I also have the time for co-hosting The Sustainable Living Podcast, where I share all things tiny houses, sustainable living, holistic health, mindful parenting and much, much more. I would have never dreamed of any of these things in my large home because we were barely surviving with me having two jobs. Parking is always a hot-button issue. I and many other tiny house trailblazers are doing their part to talk to local county officials to get the zoning laws changed and letting them know that we want to live legal and we will meet safety codes that are put in place. 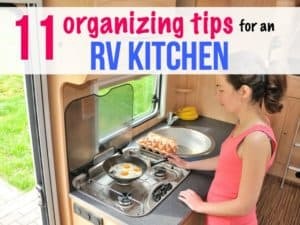 There are some great online resources, such as Tiny House Hosting and Tiny House People groups on Facebook that can help you find a spot to park. We love hobby farms, specifically organic. So we e-mailed a whole bunch of friends, family and strangers asking to see if they had land and needed some help around the farm. Bonus… we will pay you rent. We had a few takers and started on an alpaca farm. The commute was a bit too long for my husband, especially with a little one at home, so we moved closer to the city on a smaller hobby farm. It was a wonderful experience and living on someone’s land is beneficial for both parties involved. If farming isn’t your thing, use social media to ask around to see who has some land they would like help with. The biggest hurdle is making sure all the neighbors are on board. If they are …you’re good to go and our tiny house community members will continue to ask cities and counties to give us a chance. In the meantime, we will continue to build tiny house communities, park in backyards and buy land where zoning allows. 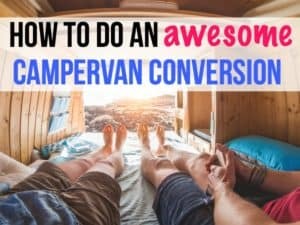 We are so in love with tiny house living that we sold our tiny house, downsized to a camper and we are moving to Colorado to build an even smaller and more portable tiny house so I can travel the country speaking about my book and the movement in general. Our tiny house was very portable but we don’t want to get a huge truck to pull it, so we are in a 150 square foot camper for now while we save up and design our next steel frame tiny house with slide outs. That is the beauty of tiny houses. You can customize them to your every need. Our camper, although a fine choice, is not for us. There is no insulation, we already have mold and moisture issues, the storage is minimal to none, the bathroom is small, there is no washer and dryer, the fridge is minute and the list goes on. 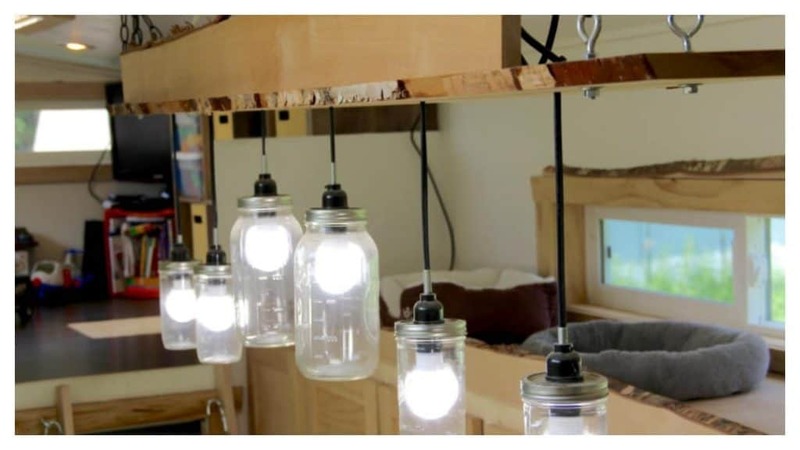 Campers are affordable options for many people, we just prefer custom, less-toxic tiny homes. Our camper is proving to be a health issue with the formaldehyde and other cheap toxic glues, paneling, carpet, etc. but we are making due for now. We did get the least toxic camper, The Evergreen, but their business failed with the inability to keep up with more toxic and cheap brands. 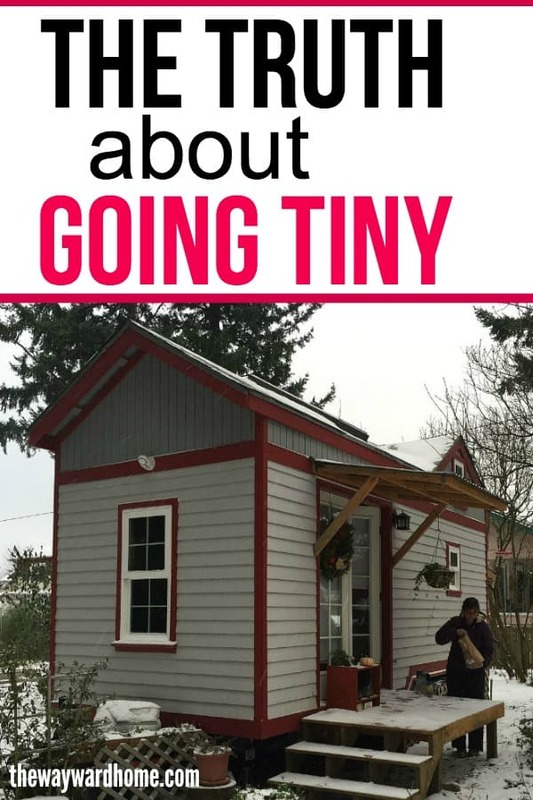 If you are thinking of living in a tiny house, be ready for your life to open up to a million opportunities, a wonderful community of people, financial freedom, improved relationships, and a new found passion for life. Also, be prepared for a lot of work, research, soul-searching and ups and downs. It will all be worth it in the end… I assure you. We are here to create a world where everyone can afford a home to call their own. Where everyone can have their own slice of heaven in a place they thrive in, doing the things they love. Tiny houses are one of the ways to get to this dream by living within our means and with our environmental impact in mind. Together, we will create communities of people who believe in a better world not only for themselves but for generations to come. May your journey to tiny house living be everything you imagined and more. Many blessing to you on this new adventure as you find love, peace and happiness through following your bliss.